If you have one drive bay and have been pining for faster local storage, Samsung's latest announcement is for you. They've just added 2TB solid-state drives to its 850 Pro SSD and 850 Evo families. The features on the new drives are the same as the their lower capacity siblings in both families, using MLC and TLC NAND respectively, but the higher capacities come of course with a larger price tag. The 2TB 850 Evo is $800, and the 850 Pro is $1,000. Samsung's new drives aren't the first of their kind, but they are the first that the general public think about buying - other drives of this type are generally made for data centers and cost thousands of dollars. The drives definitely aren't cheap, but when the price of the 1TB drive is considered, starting at around $400, the price points make sense. Both the Evo and the Pro will come in the same 7mm, 2.5-inch cases as the smaller 850 drives. The Pro is guaranteed for 10 years or 300 TBW, and the Evo for five years or 150 TBW. 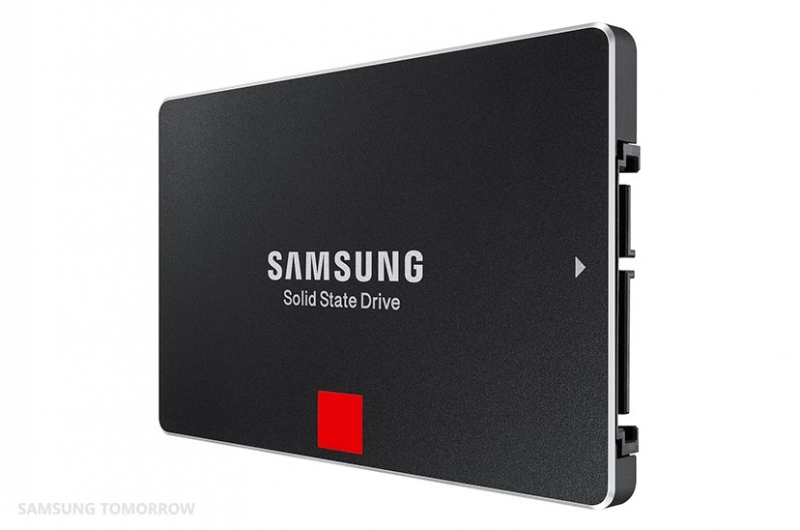 Once the 2TB 850 drives launch, Samsung plans to expand into high capacity 3D V-NAND SSD lineups, to include mSATA and M.2 form factors, to address gaming and high performance customers.